Capacity planning decisions are predominant to any industry, especially to healthcare industry because not only it imparts to the management of highly specialized and costly resources i.e., nurses, doctors, and advanced medical equipment, but also it forges a difference between life and death in critical conditions. A hospital capacity management solution (HCMS) empowers a better and timely encumbrance of patients and consequently shortened length of patient stay in hospital. Hospital capacity management solutions footmark clinical data of patients can easily alerts doctor, nurse or caregiver, in order to safeguard timely care so that patients can be discharged earlier. Hospital capacity management solutions increase the operational efficiency in work flow and condensing expenses in hospitals. However, rising number of inpatients and disease across the globe is a major burden for healthcare sector. In order to overcome this burden, hospital capacity management solutions came into existence which not only enables better services but also saves time of patients but also provide support in bed management, asset management and quality time of patients by making doctors aware of the time when patients need them the most. The asset management solutions manage the usage patterns of high-end equipment and their proper utilization. 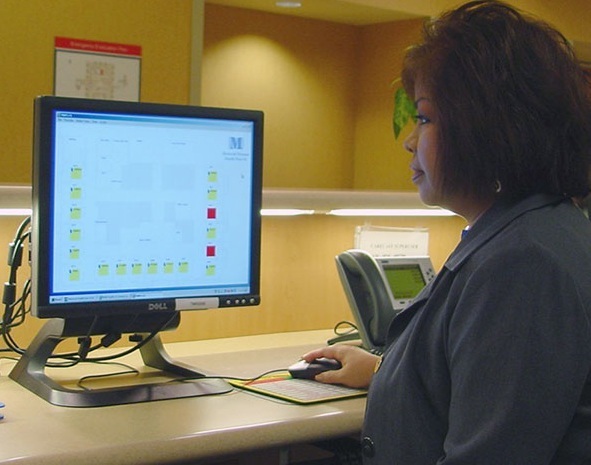 The bed management includes software that used to track bed demand and capacity in the hospital that helps to quick admission, bed preparation, transfer and discharge of patients. Some of the benefits from hospital capacity management solutions are planning and tracking, visibility and forecasts and benefits across the value chain. The emerging healthcare industry represents revenue of more than USD 1.3 trillion and anticipated to reach USD 8.7 trillion by 2020, growing at annual rate of 6.8% across the globe. Out of which, global hospital capacity management solutions market accounted USD 0.80 billion in 2016. Further, the market is expected to expand significantly at a CAGR of 5.12 % over the forecast period. Apart from this, the workflow management solutions market is expected to register a CAGR of 5.12% over the forecast period i.e. 2016-2024 owing to the rising concern towards time management to provide time saving services and management of caregivers after real time solutions. North America hospital capacity management solutions market is expected to maintain its dominance by witnessing the highest growth over the forecast period on account of rising hospitals and in-patients in the region. Hospitals capacity management solutions are being extensively adopted by hospitals since these solutions enable efficient management and utilization of beds, caregivers and other assets of medical facilities. Rise in number of in-patients for long term cure in hospitals and necessity to provide better and time savings healthcare services to the patients, hospital capacity management solutions are gaining popularity among multispecialty hospitals. Rising investment by healthcare IT companies, growing demand for integrated healthcare solutions, and increasing number of hospitals are also driving the growth of the global hospital capacity management solutions market. Strict guidelines for installation and operation of hospital capacity management solutions. Factors such as rising income levels, ageing population, growing health awareness and changing attitude towards preventive healthcare are increasing the number of in-patients in hospitals. The rising number of in-patients further pushes the healthcare facilities towards hospital capacity management solutions in order to utilize and manage the resources. The low cost of medical services in various countries is raising the medical tourism, attracting patients from across the world. This factor further propels the demand for healthcare solutions in hospitals and clinics.